Two weeks into the National Hockey League season and things are already changing on the Stanley Cup futures betting board. The defending champion Pittsburgh Penguins entered the season as favorites to retain their title. That is no longer the case. Perhaps due to the recent concussion suffered by captain Sidney Crosby, the man who earned the Conn Smythe Trophy as the Penguins captured Lord Stanley’s mug, Bovada has dropped the Pens into a four-way tie for second favorites to win the Cup at +1000 along with the Chicago Blackhawks, Washington Capitals and St. Louis Blues. 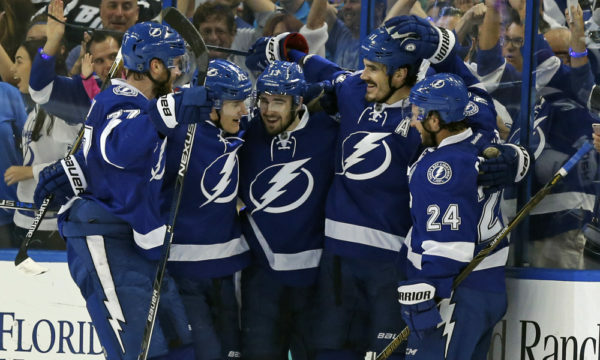 Tampa Bay Lightning, their new odds-on favorites, is also our choice to lift the Cup. Bovada lists the Lightning at +700. As a player, Steve Yzerman was all about the process. His life’s work wasn’t about scoring goals, putting up points, or capturing individual honors. Stevie Y sought just one reward from his work on skates – the Stanley Cup. As general manager of the Lightning, Yzerman’s objective hasn’t changed. And neither has his single-minded focus on achieving that goal. In 2014-15, Tampa Bay took Chicago to six games before succumbing in the Stanley Cup final. Last spring the Lightning reached the Eastern Conference final despite playing much of the postseason minus captain Steven Stamkos and stalwart defenseman Anton Stralman. They’ve lost to the eventual Stanley Cup champions two years in a row but we don’t think they’ll fall short again. This team has it all, and over the summer Yzerman secured the team’s long-term future, too. He locked up Stamkos to an eight-year deal with an annual cap hit of $8.5 million. Then Yzerman secured his best defender, inking Victor Hedman to an eight-year, $63 million extension. He knew he had to get right-winger Nikita Kucherov’s name on the dotted line as well. Which he did just prior to the start of the season, signing Kucherov for three years and $14.3 million. Add to that group a strong supporting cast up front of Tyler Johnson, Jonathan Drouin and Alex Killorn and a Vezina Trophy caliber goalie in Ben Bishop, and what’s not to like about the Lightning? Hey, but maybe you don’t do favorites? If you want to ignore the form charts and look elsewhere for a Stanley Cup champion, we’re here to help. Alex Ovechkin Celebrates his first goal of four against Tampa. Perhaps this is the season that Alex Ovechkin and the Capitals finally figure out how to win in the playoffs. Or maybe the Blues are planning to give retiring coach Ken Hitchcock a suitable send off gift in his farewell season. Then again, it could be that you’re a true gambler and you like to wager outside the box, preferring the risk/reward of riding an underdog to the finish line. Last season, as late as Feb. 15, the Penguins were listed at 25-1 odds to win the Stanley Cup, so who’s to say it won’t happen again? You might want to take a hard look at the Montreal Canadiens if you’re cut from this cloth. Yes, the Habs missed the playoffs last season and no Canadian team has copped the Cup since 1993 Canadiens. But there are a number of reasons why they could do it again and it starts in net. 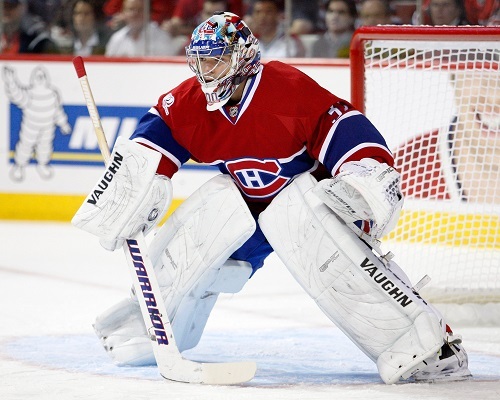 After a injury-plagued season, Carey Price, the 2014-15 Hart and Vezina Trophy winner, will be out for blood. Two years ago, with Price carrying the load, Montreal finished as the No. 2 seed in the Eastern Conference. And that team didn’t have Rock Of Gibraltar Shea Weber working the blue line. In time, Montreal will regret dealing P.K. Subban to Nashville for Weber but that time is not right now. He’ll make Montreal much better and more difficult to play against, as will gritty forward Andrew Shaw, a two-time Cup winner added from Chicago. Bovada is offering +1600 on Montreal winning the Cup, so if you don’t think the Lightning can strike, then the Habs could prove a hard habit to break.